The quote on my homepage is a L.M. Montgomery quote from Anne of Green Gables. I always identified so much with Anne. While I was not an orphan, I never did feel that I quite fit in anywhere. My own mother has told me all of my life that I was difficult when I was young, she didn’t know what to do. So she had to take me to see a psychologist. Now I don’t know what could possibly make a 5-year-old so difficult, her mother would feel the need to take her to a psychologist and the need to remind her over and over again. Anne always had trouble holding her tongue. She would speak without thinking and it would get her in trouble. She also had a way with words and many times could talk herself out of a situation. She loved to write. She loved Octobers. She loved reading and loved learning. 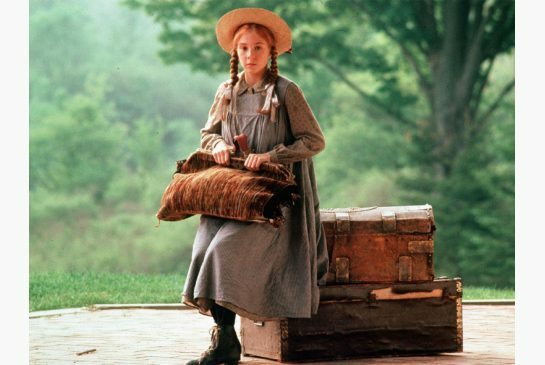 Sometimes I think if I had red hair, I would change my name to Anne (with an e) Shirley. I think most of us aren’t monotone and one dimensional people. We are multi-colored and three-dimensional. There are facets to our personalities that shine under different circumstances. And sometimes those facets need a lot of polishing before they truly shine. Oh I feel what you wrote. I wish we’d all known when we were little we weren’t alone.